EDGE Media Practice consultants help media companies improve their technology platforms and operational best practices. We routinely exceed delivery expectations on mission-critical projects. EDGE provides project scope, planning and decision-making processes for improving business and operational systems. EDGE provides skilled leadership to execute a media project plan to cost-effective and desired outcomes. EDGE can help if you have a need for high-level experience in strategic planning, project management, specialized software and IT systems. EDGE manages every aspect of the recruiting process including logistics, relocation, salary negotiations and reference checking. Business Process Documents – The EDGE Media Practice has earned a reputation for precise review and description of the key business and operational factors which make each client unique. Our documentation captures the essential components for planning any significant media technology addition or improvement project. These components serve as the reference points for a detailed strategic and tactical project plan appropriate for the project scope. The project plan becomes a roadmap for successful delivery on time and at or under budget. Project Leadership– It takes extensive real world experience to develop the knowledge and demeanor necessary to manage a complex media technology project. The leadership required to skillfully listen to competing viewpoints, objectively evaluate alternative methods of proceeding, create consensus, or “crack the whip” when necessary, is difficult to master. EDGE Media Project Managers have done so. Project Recruiting & Staffing – This is the critical competitive advantage EDGE has over most consulting companies. We have substantial recruiting and staffing practices for various IT-oriented industries, in addition to Media. When we need to secure the right combination of skills and experience to fill a key role on a Media systems project team, we most often have the right person pre-qualified and in our active pipeline. In those rare instances in which we don't, our Recruiting team, led by the Media Practice's Director Of Talent Acquisition, has the expertise to quickly identify the proper resource. Custom Software Architecture & Development– New Media technology solutions rarely come “plug & play” right off the shelf. Most Media companies have intricate software environments and workflows which require configuration, integration and even modification of the new solution in order to make it fit perfectly. 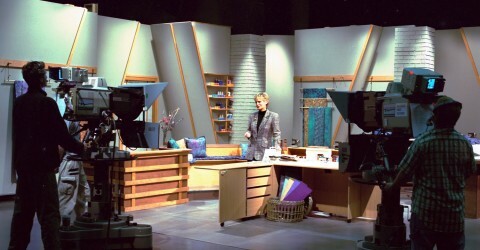 EDGE has performed sizeable custom software development projects for major Media clients. These initiatives have included all phases from initial discovery all the way through post-implementation support. FOX Networks Group (FNG) – Since the late 1980s FNG has relied on in-house developed systems to support all their sales and commercial operations across all networks, broadcast and cable. 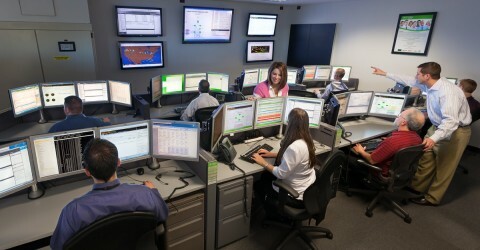 Senior FNG management in 2011 decided to explore suitable alternatives from outside vendors, and engaged Edge to capture the functional requirements and workflow managing over $9US-Billion in advertising assets, and perform a Fit/Gap Analysis against current systems as well as leading 3rd party applications. The Edge team surveyed and prioritized the requirements, built an F/GA decision-making matrix and conducted an RFI process to pinpoint leading choices for outside vendor, solution and integration to replace the retiring systems. FNG’s CIO called the Edge results and recommendations ‘thorough’ and ‘just what we needed’ to make key decisions on the future course of their operations. FNG has since proceeded to contract and begin implementations with one of the vendors Edge profiled. Edge's Media Practice provides full-service business management, technology consultancy and staffing to the Media, Broadcasting and Advertising industry. Edge's Media Practice has an established track record for helping media, broadcasting and advertising companies achieve quantifiable ROI with evolving and emerging systems and supporting technologies. Within the Media Practice business consultants are engaged with many of the world's major media organizations adding insight, value and innovation to their operations and workflow. Business Process Architecture - defines how all of the functional requirements are captured and organized and “outlines” the component parts of each function. Business user interview session notes - were compiled based on information gathered during interview sessions and meetings that were held with all of the related functional areas. Functional Narratives - Describe Individual business processes and the “inputs and outputs” to each business process. The functional narratives also describe the inter-relationships and process flows that make up each function. The narratives are derived from a validated set of Business User Interview Notes for each functional area and are presented within the framework of the Business Process Architecture. Business Process Flows - process flows are developed to support the information captured by the functional narratives. The Process flows visually depict what has been captured in the narratives and the user interview notes. “Swim lane” diagrams are used as the technique for documenting the process flows. This method is useful when attempting to highlight both the user roles and how data/workflow occurs across departmental or functional boundaries for a given business process. System capabilities - Based on the user interviews, narratives and process flows, a set of system capabilities (business requirements) can be extracted. The requirements are represented as “short sentence descriptions” of necessary system capabilities. These capabilities can then be weighted, ranked, defined in terms of complexity, prioritized etc. The capability list can then be used as a tool when evaluating the “fit” of alternatives for a system selection, build, or deployment. The capabilities are also defined within the framework of the process architecture. Edge was selected as the exclusive partner by the NFL to assess the business functionality, systems and organizational structure necessary for the launch of the new NFL network. Even though this was a new network launch, the NFL was already selling some commercial time on CBS, Fox, ESPN, and DirecTV. They were also syndicating their own ancillary programming on these networks with barter agreements for commercial inventory. While these activities were not part of the new network launch, they still needed to be considered in order to assess capabilities and the systems that could support all of the new existing business functionality. Edge conducted interviews with all related user departments. Since the network was a startup, there was no “As-Is” business process to evaluate. Instead the NFL relied on our experience with other customers to help define the proper procedures, workflow, and staffing necessary to launch a new network. This expertise was vital in helping the NFL establish the framework for a successful launch. Once the required functionality was documented, a vendor assessment was conducted to determine which product best fit the requirements of the NFL. The study was to rate product functionality based on the NFL’s prioritized requirements, including a cost and services analysis. Recommendations for software, staffing, and process were provided by Edge to NFL. Edge was also retained to manage the sales/traffic system implementation and oversee the implementation of process improvements for the network. Edge then led the implementation and training phase of the project resulting in high customer satisfaction across a total of 15 networks.